Litfest are very sorry to announce that the artists involved in our Fantastic Beasts Launch Night and Saturday’s YA Day have ALL been snowed in by the Beast from the East! All three artists live in the North of the UK (Cumbria, Northumberland and Scotland) and, whilst the conditions in Lancaster are milder, are unable to forge through the snow to make it this far South! As a result of this we have been forced to postpone the opening weekend of events. 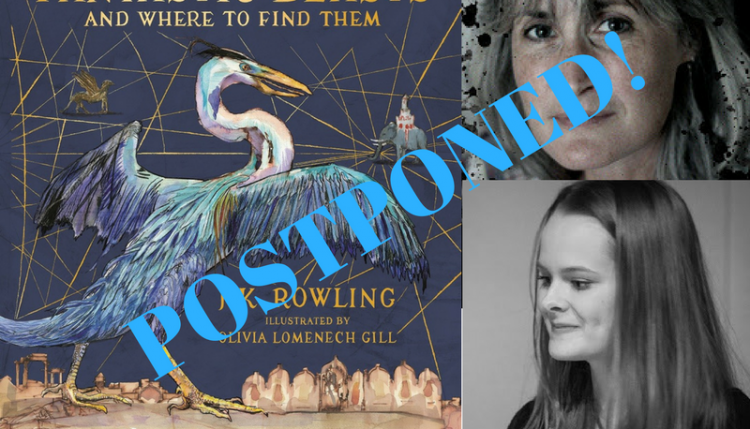 ‘Harry Potter’s Fantastic Beasts: an evening with Olivia Lomenech Gill’ and both events on YA Day are in the process of being rearranged for later in the year and we hope to release a new series of dates soon. We will be contacting all those who have prebooked in the coming hours to make them aware of the postponement and to offer a refund. Again, we are very sorry to have to do this but we are at the mercy of nature and hope to still see you at the rest of the festival! !